Just like the Large Ultra Lite Pointed, but this one is Ruby Red!!! A fantastic acoustic guitar pick. Lots of flex and bounce. Very articulate. Great mids and sweet high end. 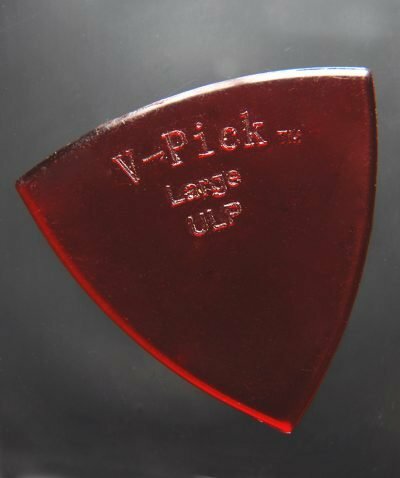 This pick will cling to your fingers while playing. You will not drop your pick again. I LOVE this pick for strumming on my acoustic guitar.